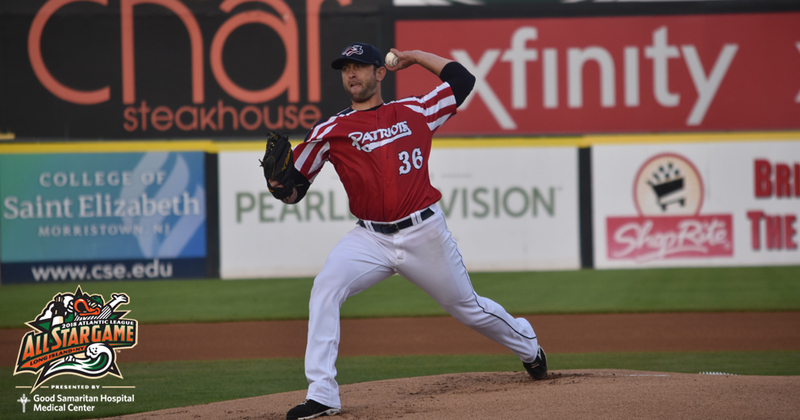 Bridgewater, NJ- In his second year of the Atlantic League and with the Somerset Patriots, southpaw Duane Below will be making his second Atlantic League All-Star Game appearance representing the Somerset Patriots. Below is 5-2 with a 2.98 ERA (fourth in the league), and 51 strikeouts against just 13 walks in 63.1 innings pitched over 10 starts. He has allowed more than three earned runs in a start just once this year and has not walked more than three batters in any appearance. Additionally, Below’s .213 BAA (batting average against) ranks third in the entire league. Below contributes his success to working hard, especially during spring training. With the second half already underway and playoffs on the horizon, Below is looking forward to continued success. The Atlantic League’s 21st Annual All-Star Game will be held at Bethpage Ballpark, the home of the Long Island Ducks, on Wednesday, July 11th at 6:35 p.m. The midsummer classic will be preceded by the Digmi Home Run Derby and will showcase several of the top power hitters in the league this year. Following the game, all fans in attendance will be treated to the biggest Fireworks Spectacular of the season. Tickets for the 2018 Atlantic League All-Star Game, presented by Good Samaritan Hospital Medical Center, are on sale now! Fans can purchase their tickets by visiting the Bethpage Ballpark box office, calling (631) 940-TIXX, online HERE, or downloading the Ducks mobile app.